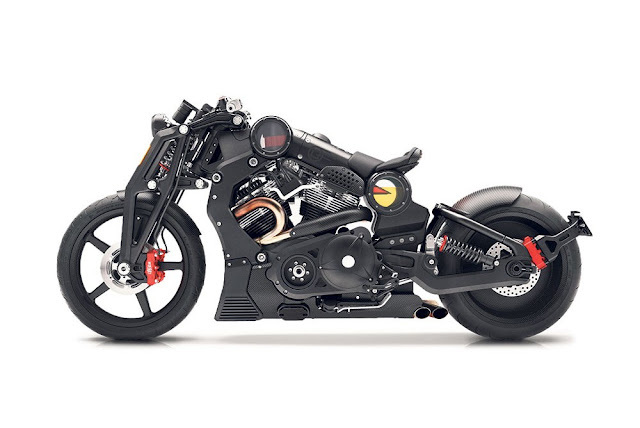 This is the updated version of the American Confederate P51 Combat Fighter that was unveiled last week; yours for £72,000 with just 61 being built. Confederate showed a computer rendering of this bike last year but this is the real deal. The bike features a huge 2163cc V-twin with a claimed 200bhp. Bargain hunters will be delighted to know anyone ordering one before September 7 will get a discount of $10,000 (around £6000 at current exchange rates) which brings the price down to a much more reasonable £66,000. We’ll have two.